We won’t know the answer for many of the wines until June. Most producers certainly have an idea, but 95% of them will not play their hands at this stage in the game. Some will play a game of chicken with their neighbors to see who will go first and react accordingly. Others will try to strike in a way that makes folks take notice early in the campaign where the competition is not as abundant. Still more will ride the wave and see where things go, so that they can make the most of their vintage…price-wise, or perhaps with an eye for volume. And that’s the rub—there are so many different ways to set goals for a campaign. Most folks think that wineries will measure their vintage’s success by how many bottles they sell. Some do. But this is a long game. Historically, for a good vintage, en primeur pricing is the floor at which a wine will sell going forward. If you have a long-term investment in a wine, there is an advantage to having it priced at a higher level, as opposed to selling more of it now, for less. There are also concerns this year of production levels, which can provide another twist. Palmer and Pontet-Canet had a historically short vintage, but the wines are good. Should they be more expensive because they are rare and they need to make up for the shortages they experienced? Or should they follow a market that will be generally lower this year? It is easy to argue for either. Refreshingly, there are some folks that are still incentivized to sell lots of wine as a priority, and not overthink the process. The folks at Labegorce and Marquis d’Alesme in Margaux are making some stunning wines that are delicious in 2018 and are bound to be highly rated. The prices? They are incredibly low considering their overall caliber and quality. In our visit the other day, they indicated that they would rather allow people to enjoy their wine than play a pricing game. Malescot-St-Exupery is of the same mind. They make a vintage (usually one of the best of Margaux given the past decade’s examples), they try to sell that vintage, then they move on to the next one. It is just a humble, practical approach that is refreshing for consumers, and the wines quickly become best-sellers because of it. The other big factor is the end of the Robert Parker era. With a greatly fractured critical landscape, some producers and consumers alike feel rudderless. There are still many strong voices out there, but none of them flip the market in the way that Parker used to. The result is that there is a lot less short-term speculation. And while I’ve argued before that this can result in a more consumer-friendly marketplace, it also puts pressure on the chateaux to provide a price that is impactful on a stand-alone basis, as opposed to one that might look sharp in the distant future depending on what the score turns out to be. 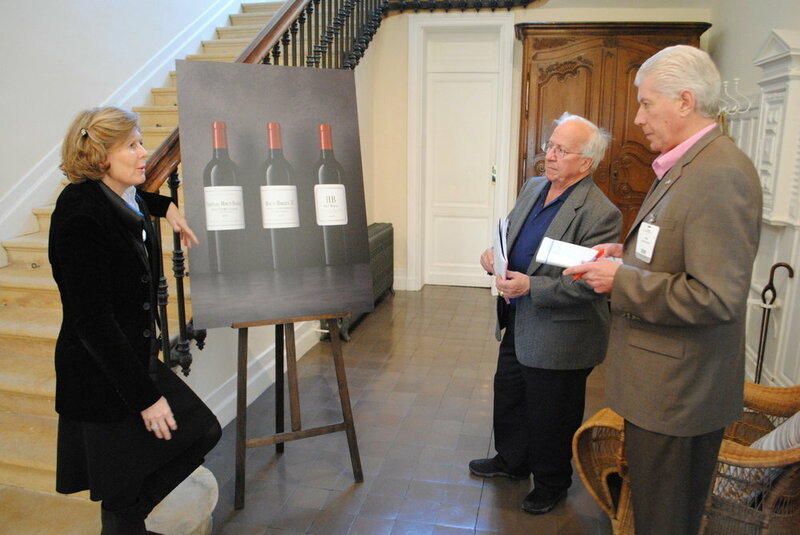 While we have been in Bordeaux in the past week, many winemakers and property directors have been very curious about the U.S. market, and asked our thoughts on the interest in the campaign. My answer has always been that there must be an imperative to buy and with urgency. When the prices show a clear upside and reveal a distinct incentive, that will most certainly be the case. The conversation has quickly reverts to recent vintages as reference points (priced below 2016? First tranche 2015?). My answer would be that an easy way to capture the market in the U.S. would be aggressive prices that promote volume and value. But it is never that simple. At the end of the day, it is the property that is setting the standard—it depends on what they want out of the vintage. Hopefully they want to engage the marketplace in a way that is attractive to old and new buyers alike and that sparks an interest in this very compelling vintage.